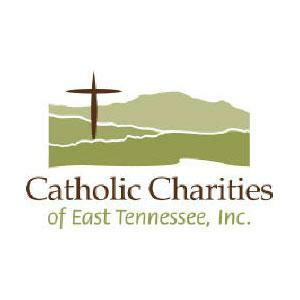 Catholic Charities of East Tennessee, Inc.
Catholic Charities of East Tennessee’s Knoxville Office of Immigration Services (OIS) provides low or no cost immigration legal services to immigrants, refugees and asylum seekers. OIS staff screens clients to determine if they are eligible for an immigration benefit and then helps them prepare and submit the application package to the appropriate United States Citizenship and Immigration Services office. By securing the appropriate immigration status local immigrants, refugees and asylum seekers can improve the current financial situation but also secure their future financial stability for themselves and for their families. This program provides women facing an unplanned pregnancy with pregnancy and prenatal information, medical, legal, and educational referrals as well as counseling and support to help them navigate an overwhelming time in their lives. Samaritan Place provides emergency, transitional and long-term supportive housing to homeless senior citizens. Clients also receive intensive case management as they work toward stability and permanent housing. Once a client leaves Samaritan Place for independent housing they continue to receive follow-up services to help ensure their stability. Samaritan place at Catholic Charities of East Tennessee, is a home for senior citizens who are currently homeless or are facing the threat of homelessness.